The Headline. And when to use a Subhead. Of the 5Ws, the headline is the most important. When creating the headline, make it effective. Use this guide: Be Informative; Keep it Short; and Make it Relevant. It’s ok to be creative, but not so much that it sounds like an ad, or too creative that it sounds untrue. Don’t mislead or make false claims. “Incredible Technology Boosts Mileage For Diesel Engines”. This is too sensational. Is the technology really incredible? What is the amount of the Boost? And is the technology new? Although extreme, this does happen. Businesses get excited about their sales, or discounted products thinking it’s newsworthy. Headlines should be 60-80 characters. Use a subhead to further explain the news. Subheads have added information to support the headline and not intended to be a stand-alone title. Here is an example. Make the headline impossible to ignore. Keep away from false claims and over sensational words. Create interest so the journalist will want to continue reading the release. Check for spelling errors. This is critical. Don’t just rely on spell check, proof read your headline for accuracy and clarity. Have someone else also proofread. The opening paragraph should be concise. Use the 5Ws in this section. Keep the first few sentences short and to the point. The next paragraphs should fully explain the purpose of your release. Keep it informative. If you use quotes, they should be from someone prominent or important to the company. End the release with “For more information, visit https://www.yourwebsite.com, or call Tim Daly at (555) 555-1111. The boilerplate is a short paragraph that explains the identity of the company and what it does. As a general rule, Monday is a very busy media day and Friday reporters are usually finishing up stories. Wednesday and Thursday are typically good days to send your release. Tuesdays are also good. No matter what day you choose, always send releases before 9 am Eastern Time. Yes, even press releases should be optimized. When not sending your release directly to a journalist, but to online news, using keywords and phrases will increase your rankings. Choose specific wording your customers type when they search for your type of product or service. The Internet can help you reach your target customer. In this case, your release becomes a mini webpage. Don’t “stuff” too many key phrases into the release. Stick to the guidelines we discussed, just optimize it. Include a photo(s) or video when possible. This will increase visibility and rankings. 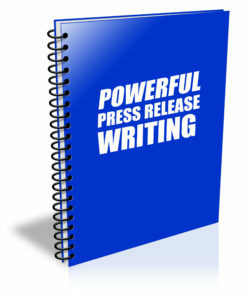 When it comes to writing a press release for your business, you should understand what it requires for an editor, reporter, or any journalist to even want to read what you send them. 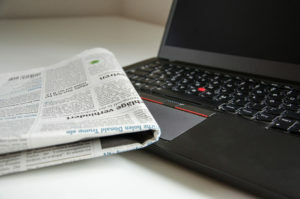 Keep in mind a press release is a way to introduce your business/product or service to the media. If there is interest, the release could turn into a story, or be published. Before I get into the heart of powerful press release writing, let me make a few points very clear. There isn’t a “secret” formula to writing a press release. It’s knowing and using the 5 Ws in your releases: What. Who. Where. When. Why. A press release is NOT an advertisement. Keep away from “selling” your product or service. Don’t write a release the same as you would an ad. Your release is going to the media, not potential or existing customers. Releases are NOT articles. Look at articles in your trade and consumer media. These are not press releases, but stories. No two businesses are the same, and this is also true of press releases. The only formula that applies is having a headline, dateline, opening paragraph, body paragraphs, boilerplate and contact information. These are just a few of the types of releases considered by the media to be newsworthy. Read and study other published releases, not all of them are good, but it will help you understand what that specific publication considers to be newsworthy. Limit the use of adjectives and adverbs. Stay away from adjectives such as “exciting”, “fabulous”, or “revolutionary” to mention a few. Using adverbs like “really”, “extremely”, or “very” do not enhance the release, but will get it tossed. When making a statement or an opinion, be sure to support it. Providing facts or referring to other studies or experts, it will give the release credibility. Write your release to match the audience. If you’re announcing a new product make sure it is sent to media specific to that industry. It’s ok to modify the release to apply to different industries. In Part 2 we will discuss catchy headlines, the best day of the week to distribute a release, how to make your release SEO ready, and how to rank high using keywords and phrases.